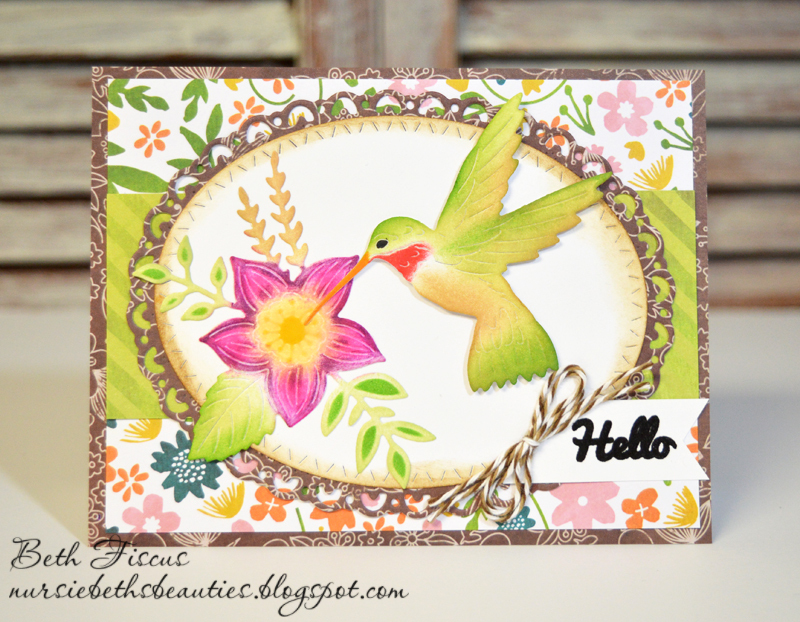 Hello all, today I am sharing this lovely hummingbird card I created using dies from Gina Marie Designs. I used the GMD Flying Hummingbird die and inked it with Distress Inks. 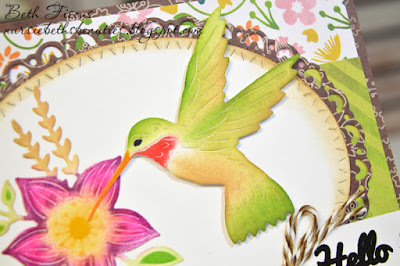 I also did the same with the GMD Spring Flower Arrangement die that the hummingbird is "drinking" out of. Other dies I used on this card include GMD Slash Stitched Oval die and GMD Crochet Lace Oval die. 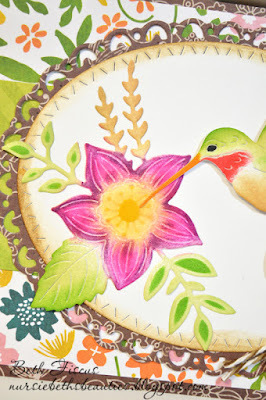 The patterned papers are from DCWV's Watercolor Garden stack. 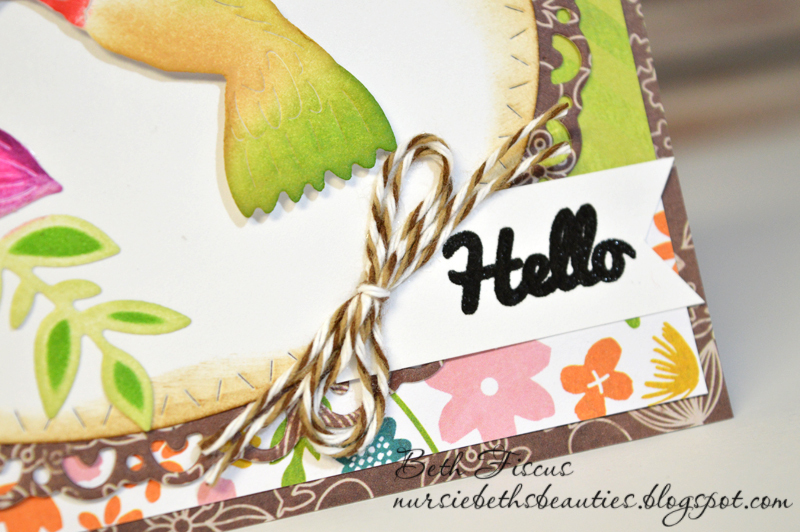 The sentiment is from CDD Simply Said and was stamped in Versafine Onyx Black. A double bow of Chocolate Truffle Trendy Twine was the finishing touch! Wow this is just gorgeous ! So lovely and elegant ! Such a gorgeous card! 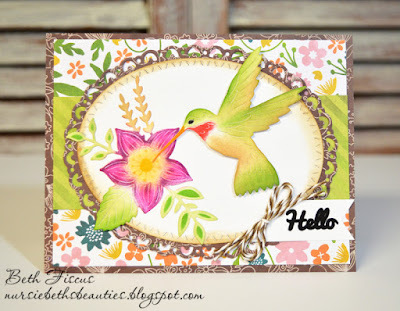 I love the inking you did on the hummingbird and flower!